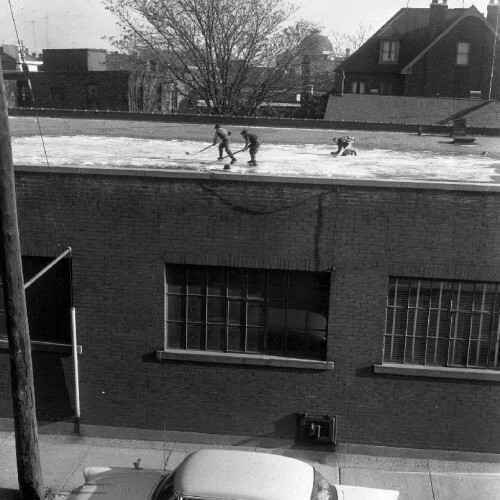 When a thick layer of ice formed on the roof of this Walnut Street building, these youngsters found a somewhat dangerous place for a game of hockey. 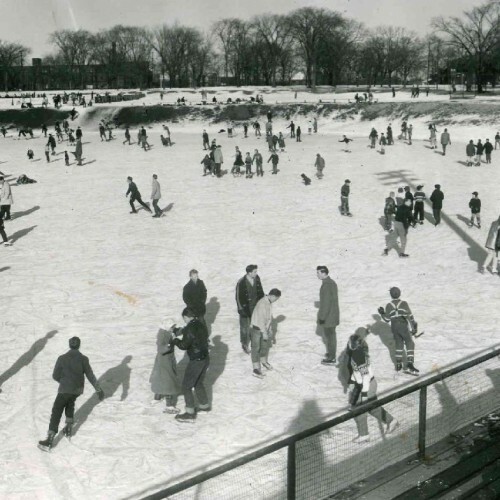 Photo was taken by Spectator staff about 1960. Hamilton Public Library-Local History Archives. 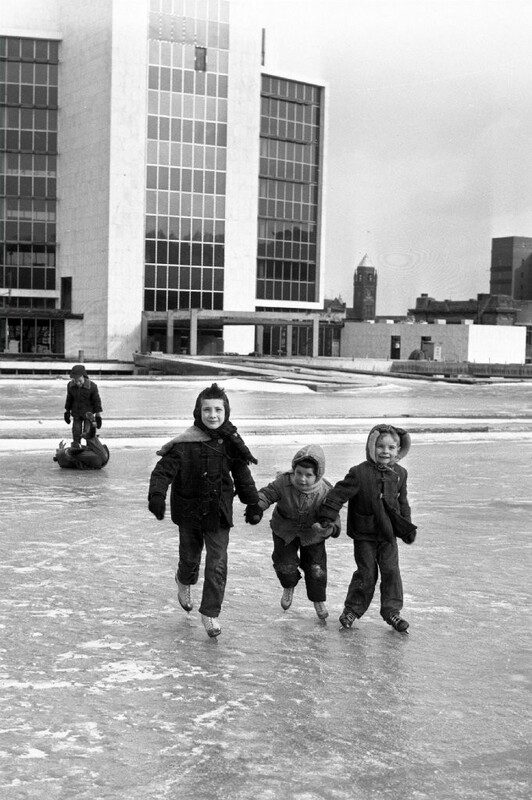 Skaters make inventive use of vacant lots and other locations around Hamilton in the quest to find neighbourhood rinks. 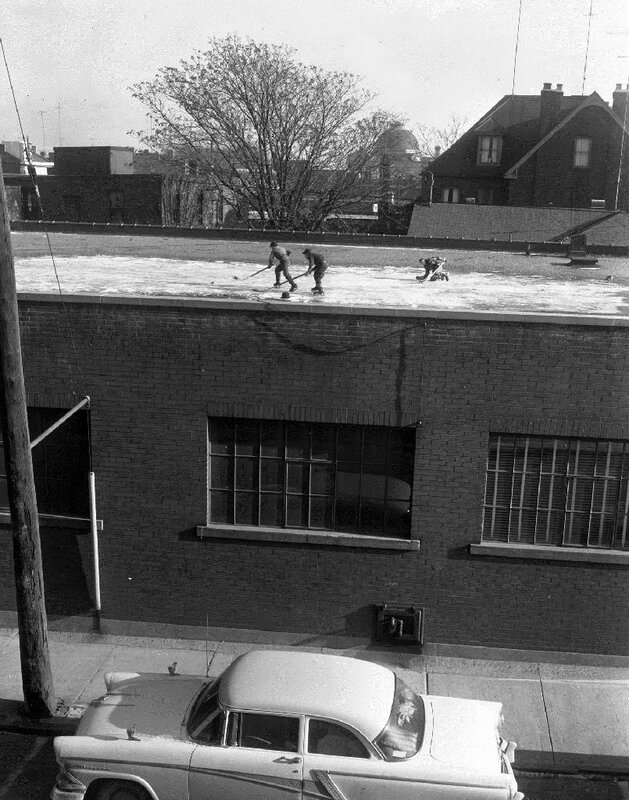 These historical photos show how construction sites and even rooftops were put to use in the 1960s by hockey players and pleasure skaters. 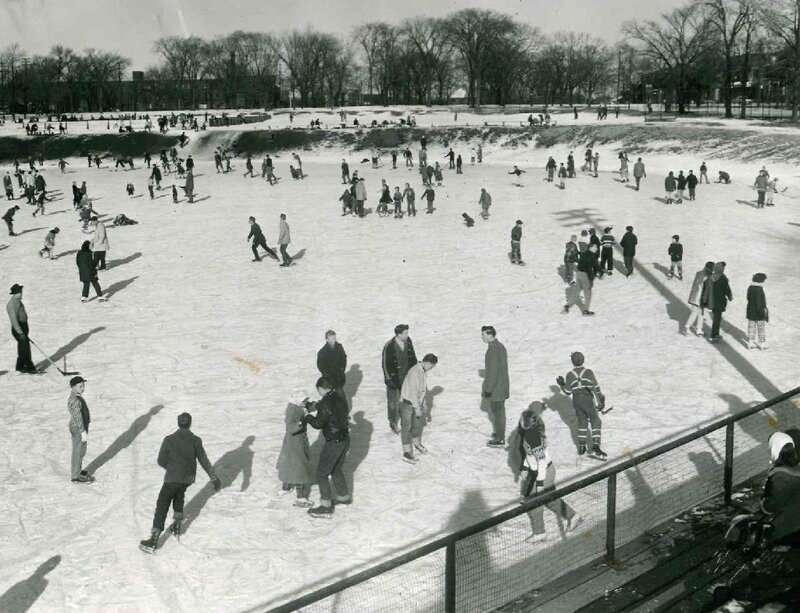 Skating in Victoria Park. Jan. 16, 1961. 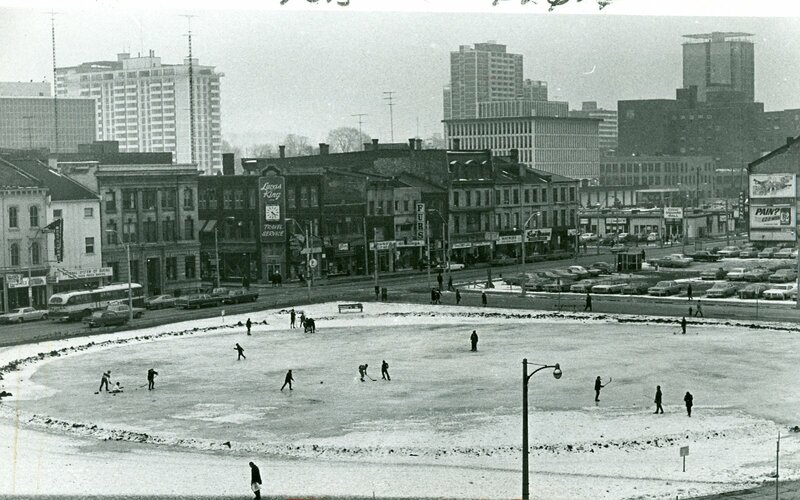 After demolition at King and James streets, the site lay vacant for 17 months until Jackson Square work began. 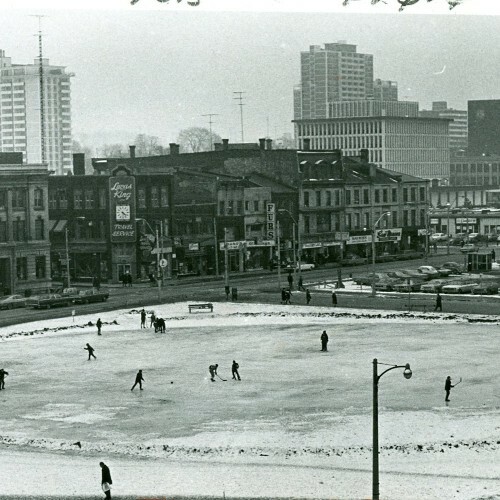 These hockey players discovered the cleared area became a natural rink in winter. Hamilton Historical Collection.